In the course of our longstanding practice in the field of technical translation, we have come across many interesting issues. Because the world is opening up, national borders are gradually disappearing. However, every country has its own laws that must be obeyed – this is where translation services are required. It is a difficult process to translate official documents into the respective target language. Errors or minor changes in expressions may have disastrous consequences. And, of course, the translation content should be faithful, transparent and in accordance with all special requirements and regulations. That is why it is safer to ask a translation service provider or sworn translator to do the translation. It is important to invest the money necessary to obtain a high-quality translation. Official translations are high-risk and sensitive not only for the individual but also for every company involved. 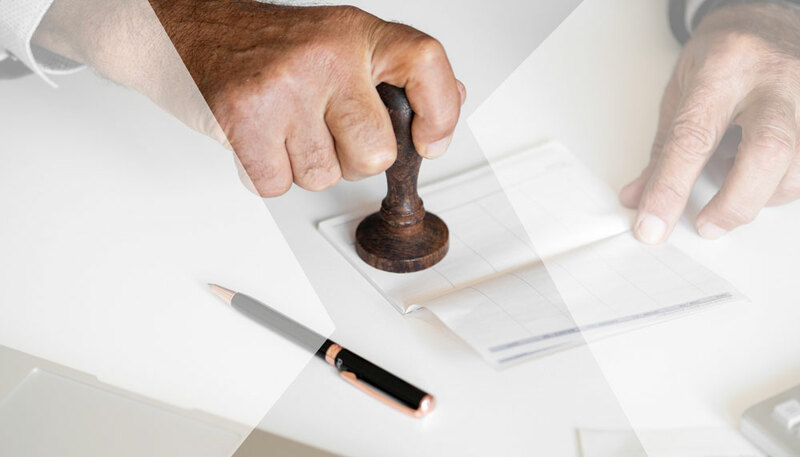 The role of the sworn translator is to do a proper official translation of the official documents, certificates, securities and other regulations, provisional accounts, tax returns, audits and other types of documents. The prerequisite for good results is to handle basic legal terminology and apply knowledge of legal systems and trials. In addition, it is necessary to have practical experience in the legal field. And of course to have a degree in the language or languages into which one translates is a MUST. Taking into account financial costs and time, it is not easy to become a sworn translator but only they have the right to have the stamp put on the translation. The specific requirements for sworn translators differ according to the legal systems of the countries. What is the system of sworn translators in the European Union? During the institutionalization of the European Union, it was challenging to incorporate the EU into the membership of international organizations. The main problem was the absence of a legal personality. Only the Lisbon Treaty changed opinions about legal autonomy, as it removed any doubts about the fact that the EU is an entity that possesses a legal identity. According to the data of the European Commission “the services provided by sworn translators are organized differently in every member state with individual professional frameworks (heterogeneous systems and practices). The difference is caused by the existence of civil and common law. In Great Britain and Ireland the profession of a sworn translator is not regulated while in the countries with civil law such as Spain and Greece, there are various rules concerning the access and work conditions if talking about the status, charges or qualifications.” The registers of sworn translators are available in national databases of translators but these are not created in every member state. In the following text, we explain how the system of sworn translators works in Spain (civil law), Italy (common law) and the United Kingdom (common law). Spain, with its civil law system, is characterized by the absence of specific regulations concerning sworn translators, although the right to have an interpreter or translator is stated in their criminal law. The Ministry of Foreign Affairs and Cooperation has the authority to grant certification to sworn translators who then are authorized to do sworn translations. Due to the fact that there is no single national database of sworn translators in Spain, the list of the persons who have passed the examinations for sworn translators is published on a regular basis by the Language Interpretation Office. Another possibility to become eligible for sworn translation is to study Translation and Interpretation at a university that could provide the student with the necessary extra credits. But this system did not work. Currently, the Ministry of Foreign Affairs and Cooperation follows market demand and the exams are offered only to translators whose language combination is needed. There is a completely different situation in Italy. The whole process is very time-consuming and sometimes even more expensive than in other countries. Why? The sworn translator must personally bring the original text and its translation (or an authenticated copy of it) to the court. In addition to that, they bring the sworn translation report stating that the translation has been executed “correctly and faithfully… for the sole purpose of ascertaining the truth”. By signing the report, the translator accepts official civil and penal responsibility for the translation. The signature and date must be written in the presence of a Court officer or Justice of the Peace. The translated document can only be legally used in Italy after legalization. Legalization certifies the origin and status of those who have signed the document. In practice, the notary official countersigns the report of the oath of the translator. And what about the United Kingdom? Most of the clients in the market for translation services still believe that professional translators must be certified or sworn to be able to process their translation faithfully. However, the common law system in the United Kingdom does not use the sworn concept. In spite of that, there are circumstances when certified translations are needed, such as when required by public authorities. The job of the sworn translator does not influence the quality, it serves instead to identify translator and his or her qualification, since ultimately the translator is the only one responsible for the translation. If the translation is identified as sworn, the lawyer (or notary in Scotland) does not verify the quality of the translation but rather it is enough that the identity of the translator is sufficiently verified. Yet the certification reinforces the importance and credibility of the translated text. If the document was intentionally mistranslated or carelessly translated, the translator would be accused of contempt of court, perjury or negligence. The Institute of Translation and Interpreting is the association for translators and interpreters with the appropriate linguistic and technical skills. The members of the association are considered to be sufficiently qualified and have the right to verify their translations. We are preparing another article that concerns preparing the document for translation, super-legalization and bilateral agreement on legal force.